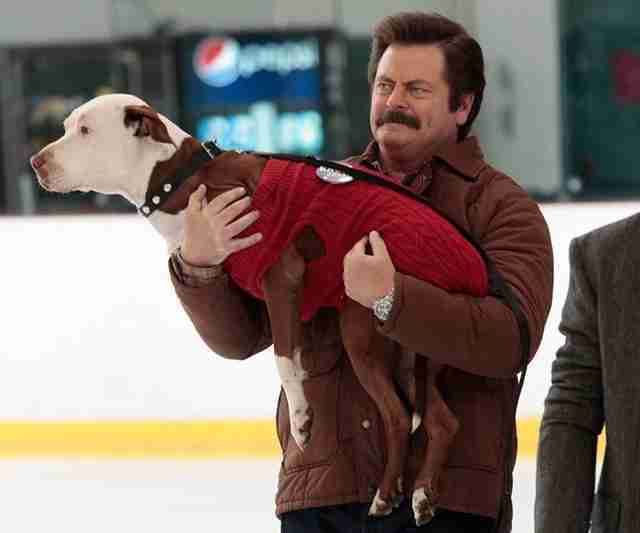 The final episode of "Parks and Recreation" will air on NBC Tuesday night, and so America must say goodbye to Champion, television's only three-legged pit bull. The pretend city of Pawnee is filled with animal lovers - remember Lil Sebastian's elaborate funeral? Or when April saved a shelter from closing down? Or when everyone in the parks department figured out what their spirit dog was? 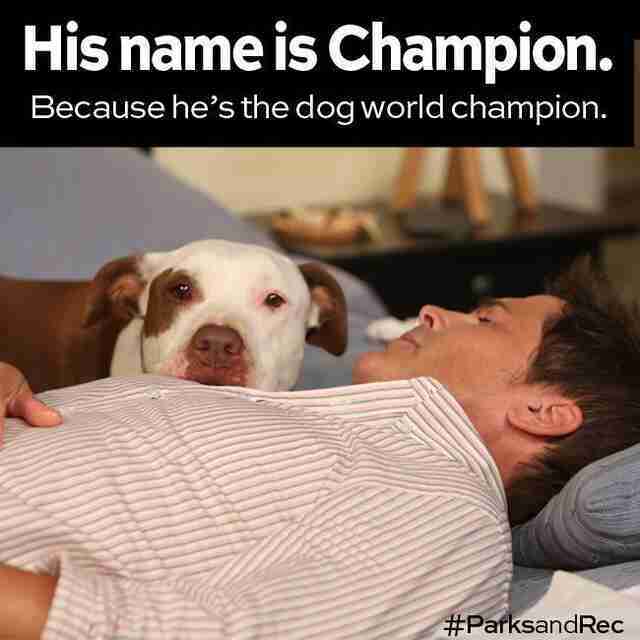 But by far the best animal on Parks and Rec is Champion, April and Andy's rescue dog. Champion wears costumes and he's great at everything (except digging). 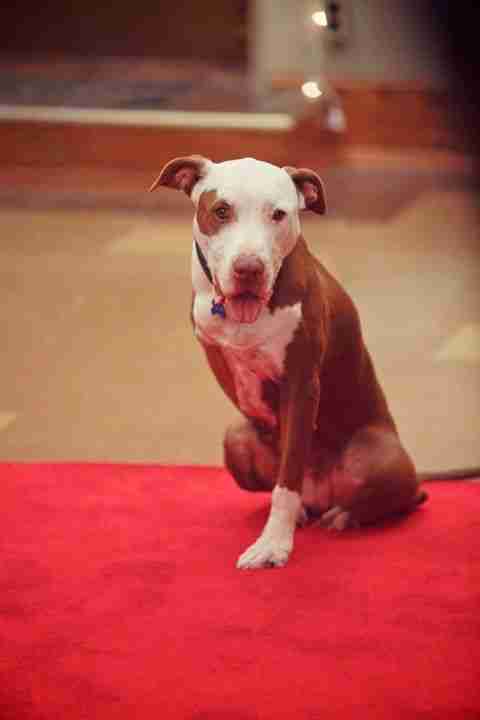 But Champion actually isn't a "he" at all; Champion is played by Lucy, who was adopted from a pit bull rescue in Los Angeles in 2004. She's actually a very prolific actress; she's been in commercials and was also an extra in "Hotel for Dogs." We'll miss seeing Lucy as Champion every week. 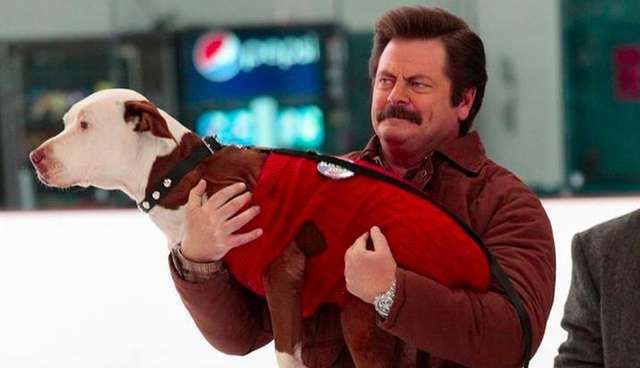 Champion may not have been the most vocal resident of Pawnee, but he was a real scene-stealer. Good-bye, "Parks and Rec," and goodbye, Champion. We'll miss you in the saddest fashion.